My first stop on this crisp but clear day was Rondeau Park. I first checked out the campground where it was relatively quiet. I did come across one of the wintering Yellow-rumped Warblers. I also walked south point trail at the end of Lakeshore Road. The lake was rather quiet today. 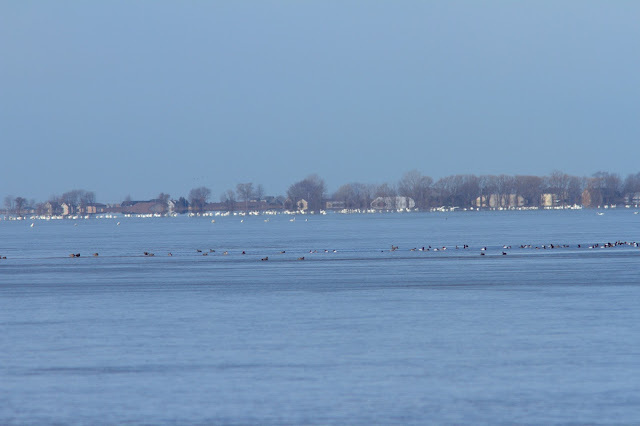 While on my way back, I received a message that a Eurasian Wigeon was on the Bay off the (old) Rondeau dock. 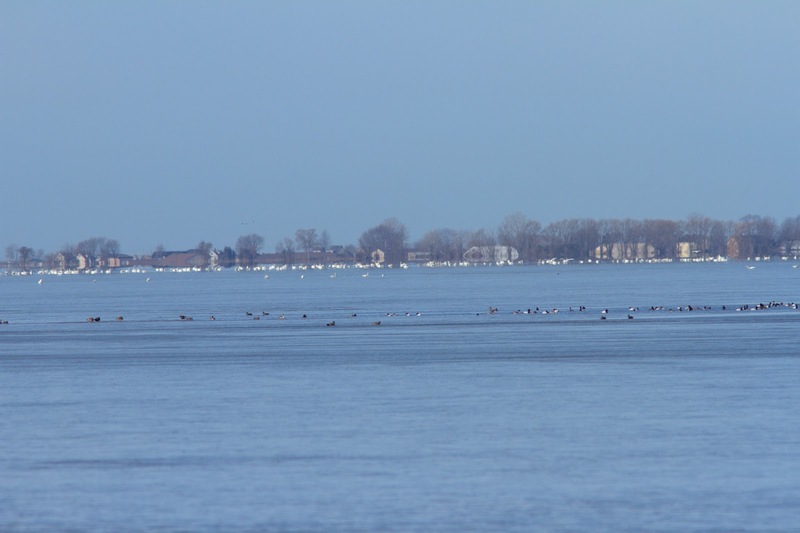 The Bay was mostly frozen over again due to the recent cold weather, but a few small open areas were packed with ducks. Steve had picked out the duck earlier, but it was extremely difficult to find in the thick raft of ducks. Certainly too far for a photo as well. After getting a brief look at the duck, I moved down to the marsh trail. I ended up walking to the half way point! There were few birds, but hopefully I burned off some winter fat. 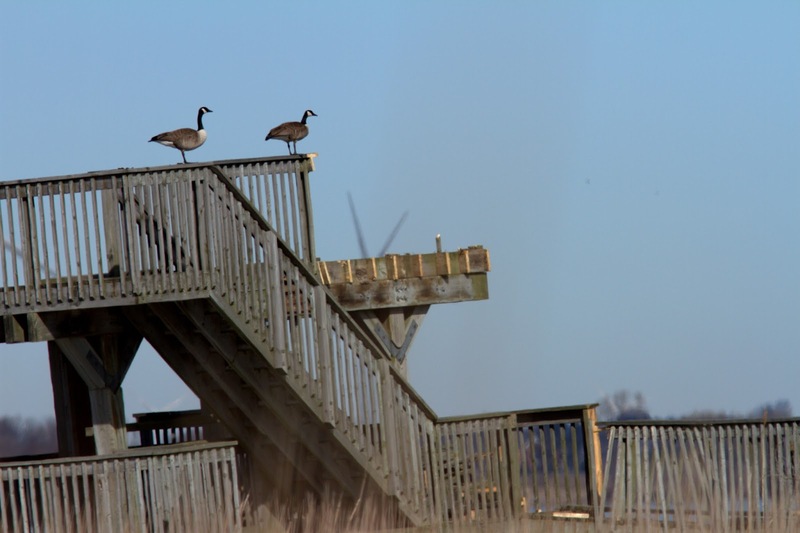 The marsh tower is being torn down, as high water and wind has taken its toll on the structure. Last year it looked like it was doomed due to the water undermining the structure. Unfortunately this expensive structure will be a thing of the past. 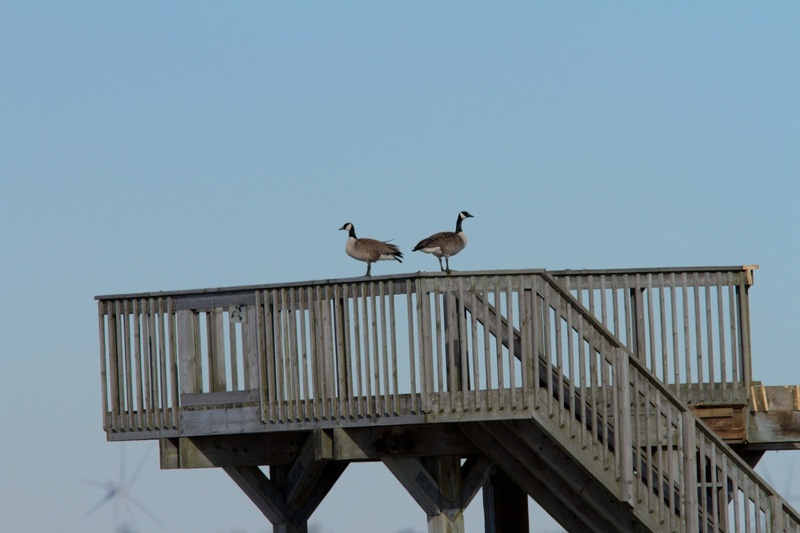 A pair of Canada Geese were standing vigil the whole time I was out the trail. 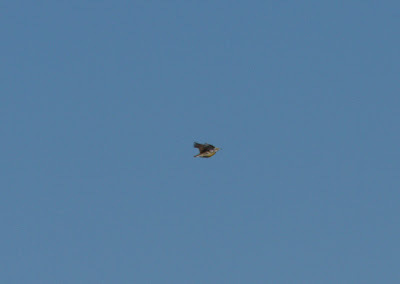 At one point I caught sight of an Eastern Meadowlark flying by. It was one bird I was hoping to come across today. There were thousands of swans on the Bay, but mostly on the far side. 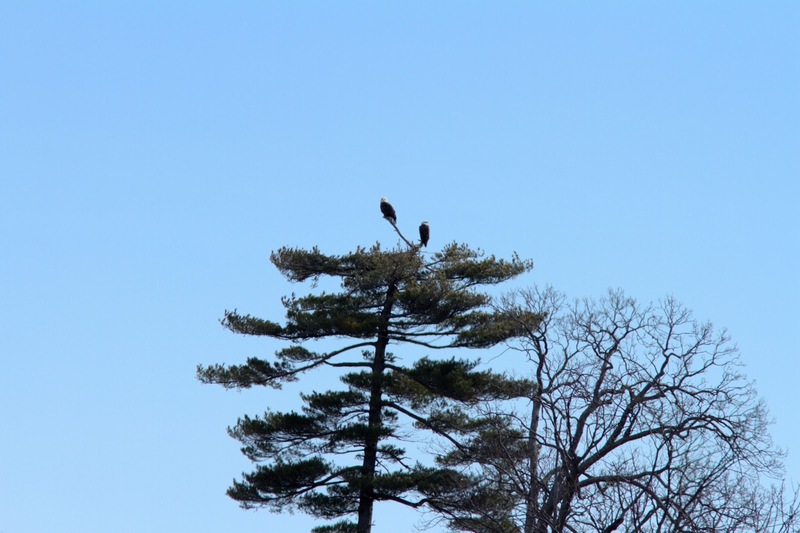 A pair of Bald Eagles was in the distance. 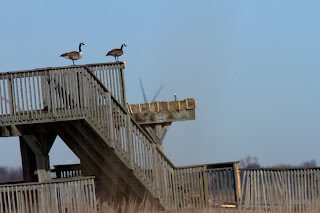 On my way out of the park, I briefly stopped by Keith McLean's and saw the five Greater White-fronted Geese that were reported a bit earlier by Josh Pickering. 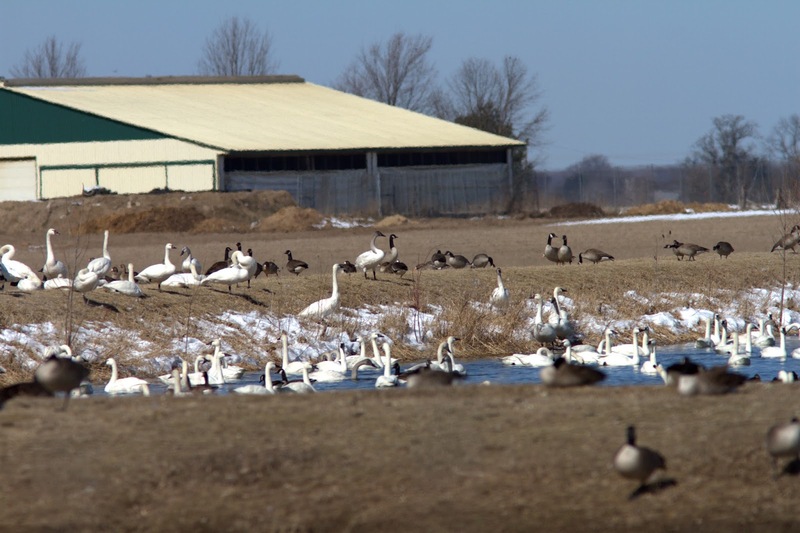 I moved on to Ridgetown Lagoons where it was packed with Tundra Swans. Lots of geese were present in including at least ten Greater White-fronted. They were a bit difficult to pick out at the back. Good thing I took some record photos, as I originally thought I saw eight, but one photo revealed ten! I was not done and headed over to Erieau. 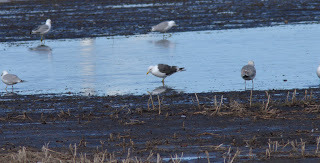 The Lesser Black-backed Gull was still in the field across from McGeachy. 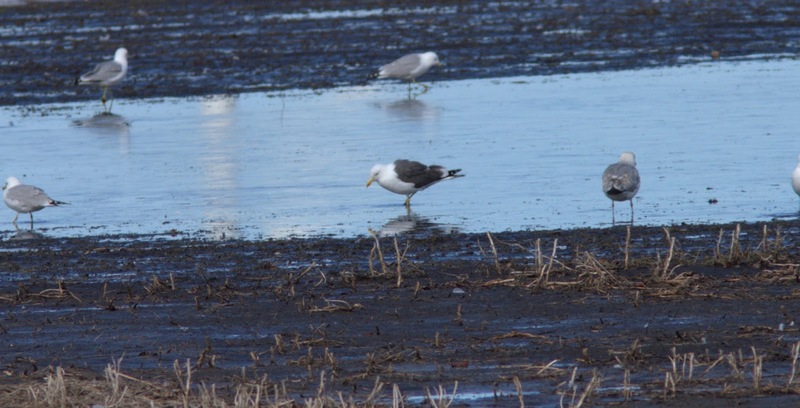 Later this afternoon I was bored, so I drove out to the St. Clair River, first stopping at Stewart Wetland. 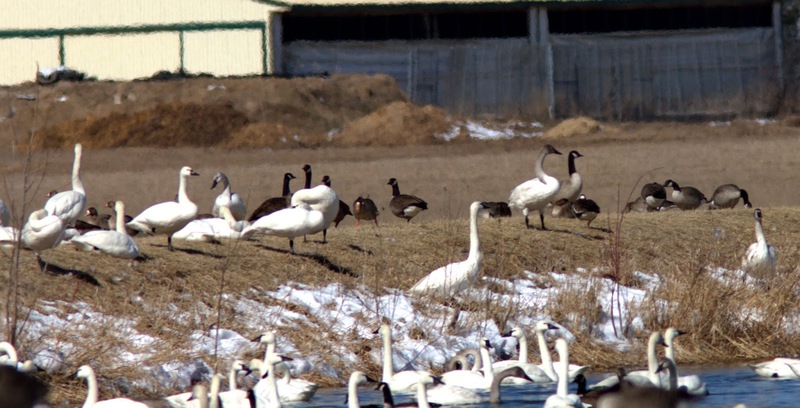 A Tundra Swan has been present there all week. I think it believes that it is a Mute Swan the way it hangs out with the Mutes. I drove all the way up to Lambton Generating Station and just downriver I did find the young male King Eider that everyone has been seeing this week. It was just under a kilometer south of Seager Park. Hi, what are the chances that the odd bird I just saw in my pasture is a Virginia Rail? Near Bothwell. 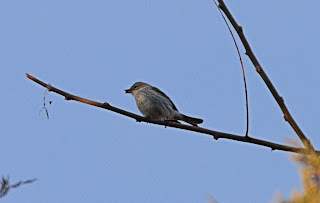 I have "Lone Pine Field Guide Birds of Ontario" and it sure looks like the image in the book.